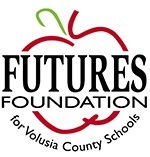 The Take Stock in Children Program facilitated by FUTURES Foundation for Volusia County Schools recently received a $2,500 grant from the Women United Volusia Chapter. Pictured left to right are Women United Grant Member Amanda Lasecki; Women United Grant Review Chairwoman Laura Reece; FUTURES Executive Director Cynthia Ramirez; Women United Grant Member Rachel Buchanan; Women United Grant Member Erika de la Paz; Women United Member Melissa Chieppa; and Women United Membership Chairwoman Allison Miller. For more information about Take Stock in Children – scholarships, mentors & hope, please contact TSIC Student Services & Mentor Coordinator Shimene Shepard at (386) 255-6475, ext. 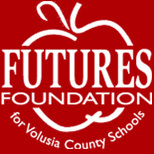 50724, sashepar@volusia.K12.FL.US or visit www.FuturesVolusia.org. For more information about Women United, please visit their website at www.unitedwayvfc.org/wiv.